Is Selling Your Home FSBO Right For You? If you can do something yourself why would you ever pay someone thousands of dollars to do it for you? Okay so most people can’t climb on their house and start replacing their roof or even go out and purchase a new air conditioner to be replaced. Others feel like painting, setting up garage sales, cleaning and other tasks are just not worth paying for. On the other hand maybe there is a happy medium of what you feel comfortable and knowledgeable enough to do yourself and what you don’t. Typically it all comes back to $$$$ money and when you draw the line of how much you are willing to spend. Selling your house for sale by owner (FSBO) is much like playing the part of a real estate agent and broker. For a ball park estimate of cost, we will say in the majority of areas will range from 4%-6% of the sale price of the home. For easy mathematics on a $200,000 sale price of a house that is $8,000-$12,000 right off of the top. If the home loan is right-side-up you won’t see any of that money because that would just be less money you get back in the end, if you owe money that would be paid directly to the agents. The following information will give you an idea of how difficult it would be to sell your house FSBO so you can be the judge. According to the National Association of Realtors they report that the majority of the FSBO properties end up ultimately listing with a relator, reasons why are because most buyers are represented by an agent and the majority of FSBO sellers price their homes too high which scare off potential buyers. If those are the biggest issues it seems like there is an easy fix and plenty of information available to people. Current homeowners looking to sell have a ton of resources which include proper pricing, how to hold open houses, making counter offers, escrow, inspections and other legal advice. The biggest upper hand that the real estate company listing your home would have besides their previous knowledge would be their branding and advertisement. Their ability to get your home on and off the market maybe better than anything you could pull off. On the other hand if the home is priced right it may not even matter, just remember it only takes one person to buy it. Not having the legal knowledge could be very scary to most homeowners that do not want to become a victim but with a little due diligence it would be very possible to find the right information. Even if you don’t have a large real estate name behind you, getting your property out and seen is still very feasible. Setting up plans for proper signage and advertisement online along with having your home readily available to be shown and visited is most important. Of course a relator may know how to take the best pictures and properly stage your house but this can all be done on your own. A fresh coat of paint, nicely trimmed yard and de-cluttering of rooms like the garage and living areas cab go a long ways when you are presenting your home to buyers. Just remember the relator isn’t going to clean and paint your house for you, they will just be telling you what they need you to complete so ultimately you are doing the work anyways. Overall on a scale of 1-10, one being posting an ad on Craigslist and ten being you trying to sell snow cones to an Eskimo I would say with a little effort I would rate this at a seven just because of the legal part. 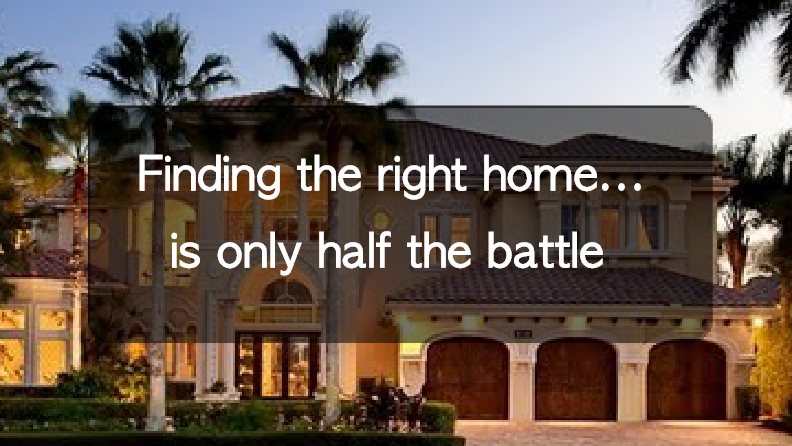 As far as I am concerned any house can sell in any market depending on your listing price. Some areas sell houses at the asking prices in a few days, if this took you a little longer would it be worth the potential $10,000 savings? Just remember you could actually get the buyer lined up and ready to go while just opting for the legal and financial portion of the transaction. Either way if you are going to buy, buy in Florida and when you do be sure to research your home-to-be using www.MoversAtlas.com. Buying a home after bankruptcy presents a number of challenges. 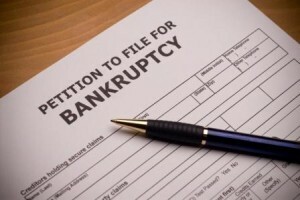 Declaring bankruptcy severely damages your credit and significantly lowers your credit score. This effectively destroys your ability to purchase a home or any other large item for some time. In today’s economic climate, getting a home loan can be difficult, but the damage bankruptcy does to a person’s credit is temporary and there are a number of things you can do to improve your chances of finding a lender and buying the home of your dreams after bankruptcy. The best thing you can do is give yourself time. Most lenders will not even consider issuing you a loan until at least two years after your bankruptcy has been discharged. On the bright side, two years isn’t that long of a wait and there are many things you can (and should) do during that time to improve your credit and increase your attractiveness to lenders. The very first thing you should do is get a copy of your credit score. This will help you more fully understand where you are financially and allow you to spot any mistakes that might be dragging down your credit score unnecessarily. If you do spot any mistakes, dispute them with the credit agency that issued your score. After you’ve gotten a handle on where you stand, you can begin working to improve your credit score; with proper planning and discipline your credit rating will improve over time. Keep in mind that the overall goal here is to prove to lenders that you can be trusted to pay back money that you have borrowed. Improving your credit score is a way to accomplish this. While it isn’t necessarily advisable to take out additional credit, obtaining a secured credit card or making regular payments on an installment loan are two methods people use to improve their credit score. A secured credit card is basically a card whose credit limit is dependent on the amount of money you have deposited with the issuing bank and your previous credit history. With this type of card, a savings account is used as collateral on the credit available on the card. As you’re rebuilding your credit, you should only use a fraction of the credit available to you. In other words, don’t max out all of your cards. Also, make sure your payments are on time and over the minimum amount required by your bank. Don’t bounce any checks either as these can also negatively impact your credit score. Less obviously, try to stay at the same job for at least two years and maintain your current income level. Lenders like to see stability when they’re evaluating who they’ll give a loan to. Finally, make a commitment to growing your savings account. Putting money in the bank will lower your debt-to-income ratio and allow for a larger down payment. This is important since the larger your down payment is, the more likely lenders will be to talk to you. A larger down payment can also lower your interest rate. Once your credit rating is in better shape and you’re ready to get serious about looking for a home, consider getting a loan from the Federal Housing Administration (FHA). FHA loans are often more accommodating for those who have a bankruptcy in their history than loans issued by standard lending institutions. Additionally, be ready to pay a higher interest rate. A past bankruptcy often means a higher interest rate; but a larger down payment can lower it for you. Finally, make sure to purchase only what you can afford. Mortgage calculators can help you figure out what sort of down payment you can expect. Best of luck in your home search; if you’d like to check out communities you’re interested in - have a look at our MoveMap, it makes finding the neighborhood that’s right for you easy and fun! When is the Best Time to Buy, Sell or List a Home? What goes up must come down, or maybe it doesn’t? Trying to speculate what will happen in the future is impossible because if you could the 2008 downturn wouldn’t have affected anyone and the Superbowl game wouldn’t be worth watching. 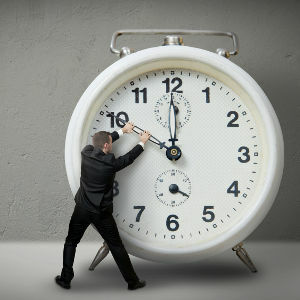 Knowing the best time to sell your home is just as important as knowing how much to sell it for. The following will give you an insight on when the best times would be to buy, sell or list your home. Besides the different times of the year it is important to understand what a “buyers” market is and what a “sellers” market is. The definition is self-serving in that one is better for the buyer and the other is better for the seller. Ultimately these markets fluctuate primarily depending on whether the industry has an influx in houses for sale or not, it’s simple supply and demand. On the other hand depending on the economic status with loan rates, stock market status and other indicators it may not even matter if there is an exorbitant amount of homes on the market or not. There is nothing that can be planned for so just understand “it is what it is” and some areas are affected more or less by these indicators. The majority of sellers look to prepare for listing in the spring because that is when the buyers begin to look. The weather has a big impact on home buying and moving because the majority of people would rather not move during the dead of winter, even in Florida! Another good time would be the summer, this is a time when the school year is coming to a close making it a good opportunity to relocate or change school districts. As far as buying a home the most logical time frame would be when sellers have broken into the market. According to the National Association of Realtors the months between April and July are when the most sales take place. On the other hand if you did wait until the “off-season” or were forced to buy during an odd time of the year you will need to take into consideration that there would be less available BUT the prices may be lower. There are times when the market isn’t running like a well-oiled machine and the housing prices are more competitive because the seller knows the time of the year isn’t right. It would be like going into a car dealership that has very little sales, you end up being their number one (and only) customer and are able to have your pick of the litter. No matter when you are looking to buy and sell it is important to do your research and be aware of the market. Be sure and hire a good real estate professional to guide you and help you complete the transaction. 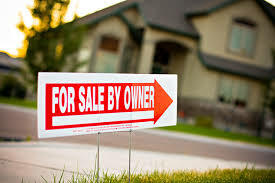 Last but not least when buying or selling a home use www.moversatlas.com as a carfax for your home and community, it will give you that edge when researching your potential new home and its surrounding neighborhoods.